Burnley Express and News, February 28, 1942. Widespread sympathy is felt for Mr. and Mrs. Duerden, of 6, Acre-street, Haggate, in the loss they have sustained by the death of their only remaining son, Gnr. Sydney Duerden, R.A., which took place last Sunday at his home. Previous to entering the Army last July, Gnr. Duerden had been employed by the Queen-street Manufacturing Co., as a weaver, and as taper at the Harle Syke Mill Co. He was a member of St. James’s Church and played with the football team. He also played cricket with the Haggate team. He was admitted to a military hospital on January 4th, and was home on leave pending his discharge from the Army when his untimely end came. Aged 27, he was a member of the Queen Victoria Lodge, N.L.O.O.F., and the following acted as bearers at the internment, which took place on Wednesday: P.G.M. C. G. Skipper, P.G.M. J. P. Skipper, P.G.M. W. Bailey and P.G.M. F. Jackson. The Rev. A. B. Dex said prayers at the house and also officiated at the graveside. Arrangements by Messrs. J. Atkinson. 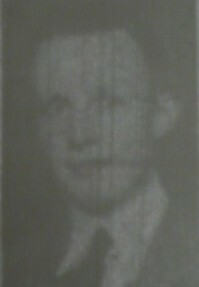 1942 – DUERDEN Sydney of 6 Acre street, Haggate, Briercliffe, Burnley, died 22 February 1942, on war service. Probate, Lancaster, 19 May to Alice Duerden (wife of Willie Duerden). Effects £240 2s. 4d.